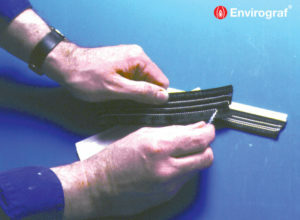 A curved ramp and seal system for door thresholds, comprising two high tensile plastic mouldings which can be fitted together or separately. Available in black, brown or grey as standard. 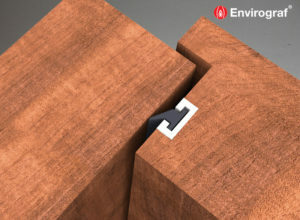 Both sections DT and DTE are fixed into position with screws. DTE: Fix in place with screws. Application of flexible mastic sealant to the underside of the mouldings ensures a water-tight seal. 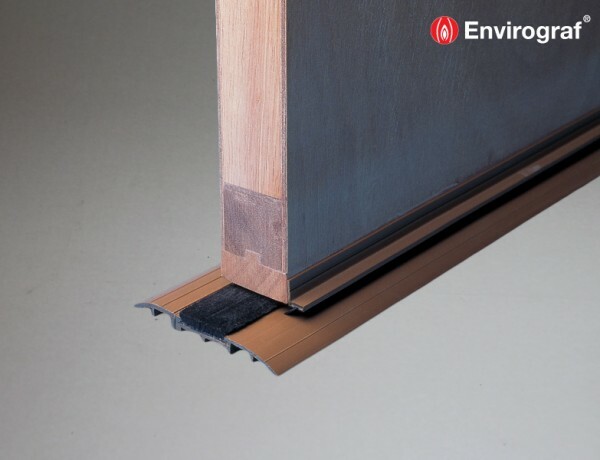 When used in combination with other Envirograf® seals on the door, the Envirograf® DT/DTE seal set offers acoustic, draught and weather protection in situations where a threshold seal is required on a flat surface, particularly where there is no weather bar. 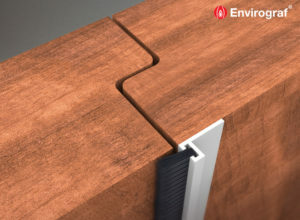 In situations where a draught and weather seal is needed for an exterior door, only one section is used in conjunction with an Envirograf® door seal. 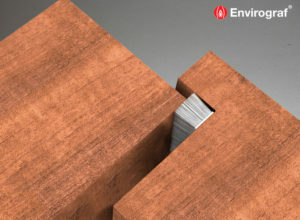 The seal is suitable for internal or external use. The seals are not affected by sea air or water.